Paul Macoun rides the Buoy Profiling System as it is towed to the Institute of Ocean Sciences dock for final testing, August 2013. After 3 years of planning, design and construction, our new buoy-based profiling system is now ready to be installed. 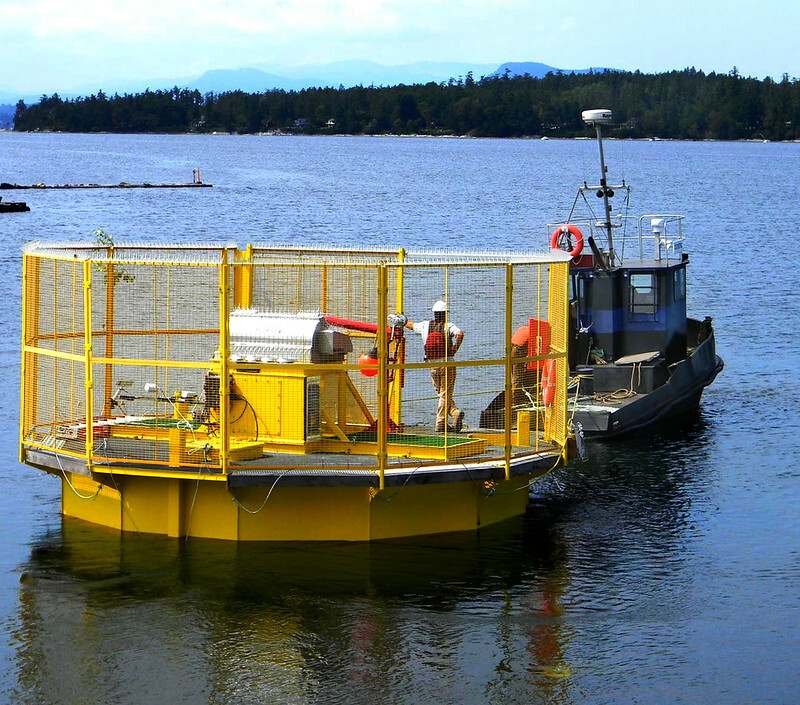 On Aug 1, the Saanich Inlet-destined 7-m wide buoy structure was successfully launched in Patricia Bay. The next step is to secure the buoy in place 4 km south of the node using a triple mooring, and the connection of the system to the VENUS Node in Saanich Inlet via a specialized power and communications cable. The buoy is presently tied to the wharf at the Institute of Ocean Sciences (IOS) undergoing final inspections and testing, and will be relocated to the centre of Saanich Inlet at the end of August, where it will routinely profile the seasonally anoxic waters in Saanich Inlet using standard and customized instrumentation.